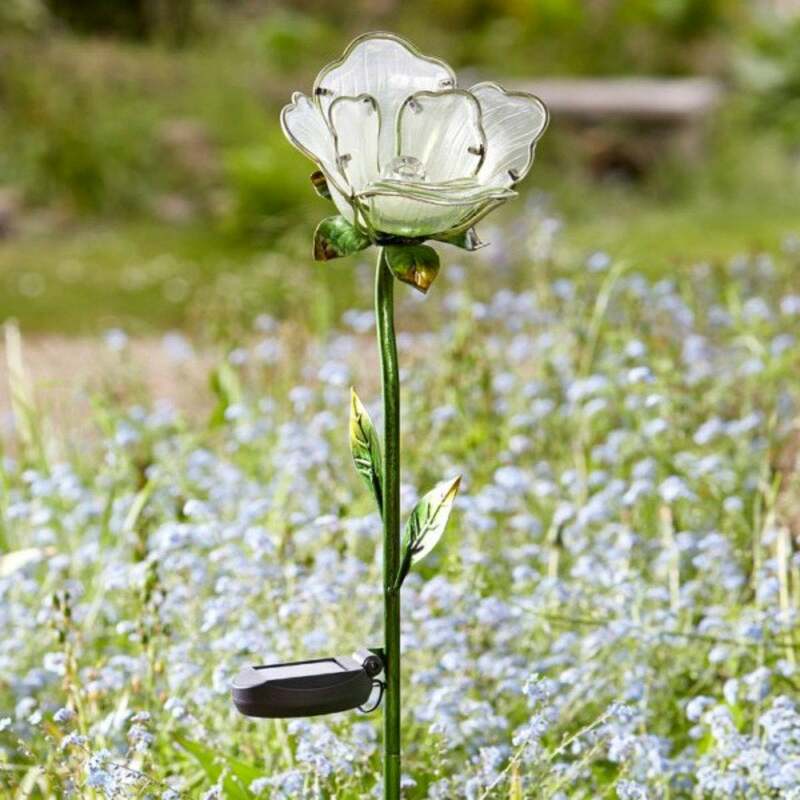 This beautiful solar powered white rose stake light from Ruddick Garden Gifts looks great as a garden ornament throughout the day then as a solar light at night. 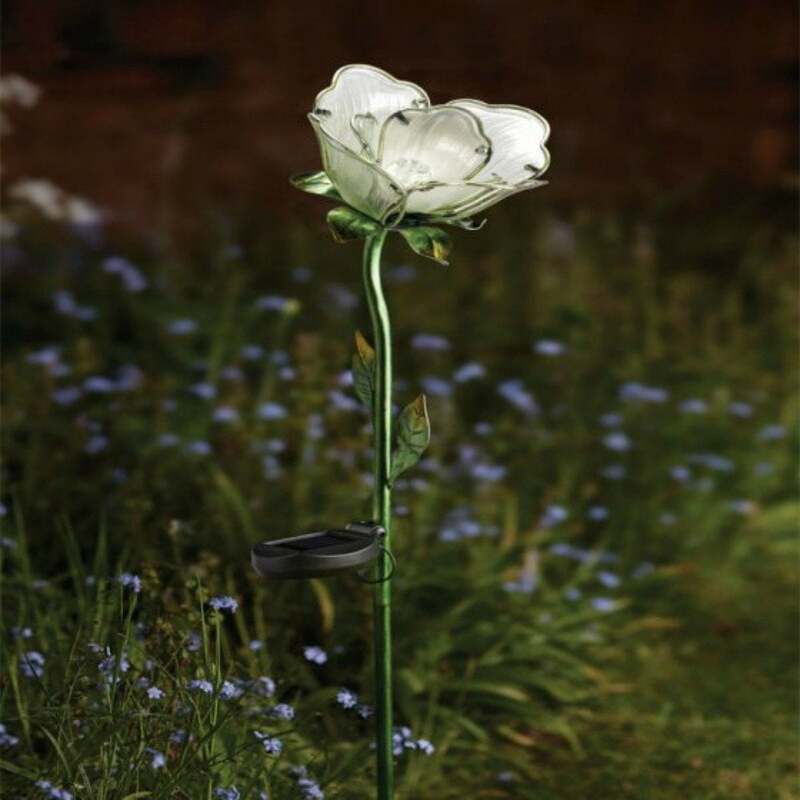 Made from metal and with hand painted glass this pretty garden stake simply pushes into soft ground making it ideal for borders, lawns or pots. The solar light comes with a replaceable rechargeable NiMh battery and charges in direct sunlight to give a stunning focal point both day and night.